By Josh Bernoff and [email protected] Noname . Published on July 20, 2009. Here's one of the things we do at Forrester Research: we interview as many marketers as we can about their plans, identify trends and project future likely conditions, and then we put together some numbers to make a projection. If you've ever seen a Forrester projection, it comes from a process like this. In this recession, marketers have learned that interactive marketing is more effective, and advertising less effective, per dollar spent. While budgets for online have decreased, they decreased less than other budgets. Six out of ten marketers we surveyed agreed with the statement "we will increase budget for interactive by shifting money away from traditional marketing." Only 7% said "we have no plans to increase our marketing budget." Unlike the last recession, digital marketing is no longer experimental. Now it looks more like advertising is inefficient, relative to digital. More than half of the marketers we surveyed said that effectiveness of direct mail, TV, magazines, outdoor, newspapers, and radio would stay the same or decrease within three years. In contrast, well over 70% expected the effectiveness of channels like created social media, online video, and mobile marketing to increase. The result is that digital, which will be about 12% of overall advertising spend in 2009, is likely to grow to about 21% in five years. Along the way overall advertising budgets won't grow much. It means we are all digital marketers now, since digital is at the center of many campaigns anyway. It means media is in trouble, or at least in the middle of a transformation. For example, online video ads, which will be about $870 million this year, will grow to over $3 billion in 2014. What will this do to networks plans to put more of their shows online in places like Hulu. How will it accelerate some newspapers plans to become more and more centered around online? And it means that social "media," which will account for $716 million this year between social network campaigns and agency fees, will generate $3 billion in five years. And this doesn't even count displays ads on social networks (which are in the display ads category.) Of all the parts of digital marketing, social network marketing one is poised for the most explosive growth. Pundits have been declaring the end of mass media and advertising for years now. From my 14 years of experience analyzing this stuff, I've learned that things die very slowly, but there are real trends you can see. If you're in advertising, you'd better learn to speak digital, because that's the way the world is going. Josh Bernoff is the co-author of "Groundswell: Winning in a World Transformed by Social Technologies," a comprehensive analysis of corporate strategy for dealing with social technologies such as blogs, social networks and wikis, and is a VP-principal analyst at Forrester Research. He blogs at blogs.forrester.com/groundswell. 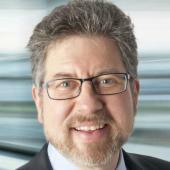 Josh Bernoff is senior VP-idea development at Forrester Research and co-author of "The Mobile Mind Shift."